SFC works to ensure that Massachusetts invests the resources needed for all children, from birth to age five, to access high-quality early education programs that prepare them for success in school and life. Massachusetts will stand out as a leader among states for its effective implementation of early learning systems that prepare its youngest citizens for success in school. 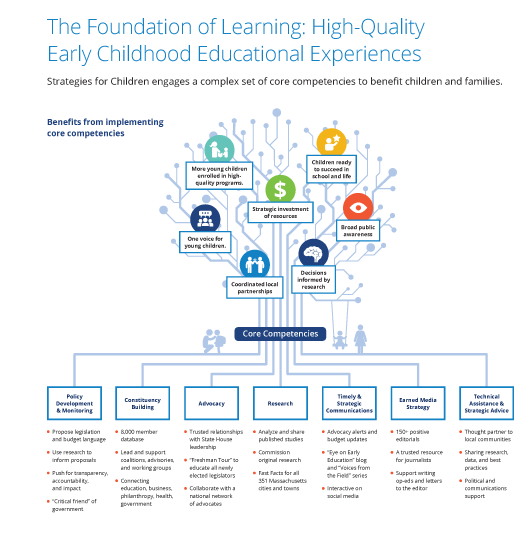 Increased number of Massachusetts children (birth-5) who are enrolled in high quality early learning programs and who enter kindergarten ready to learn. For more information, please contact Chris Martes, SFC’s president and CEO.